Please provide your trip details, so we can quote a travel plan that will best suit your needs. For Individual All-Inclusive Package with Emergency Medical coverage, each traveler age 61 and over is required to purchase individual coverage. To purchase this plan type, close this message and complete the online application process for each person age 61 and over as an “Individual”. If you want to proceed to purchase an Individual Non-Medical package as a “Family”, close this message and click “Next Step”. Our Travel Plans are provided ONLY to residents of BC or the Yukon who have a Medical Service Plan. Are you a resident of another province? Please contact Blue Cross Canada at www.bluecross.ca to find your provinces' Blue Cross. Are you a visitor to Canada and arrived within the last 30 days? You may find more information about our "Visitors to Canada Travel Plan". Please feel free to contact us if you have any further questions at 1 800 873-2583 or email us. To purchase an Extension please contact us direct at 604-419-2200 or toll free at 1 800 873-2583. Our Travel Plans are only valid when purchased before the departure date and for the full duration of the trip, inclusive of the departure and return dates. A medical health declaration is required only if you are purchasing Individual Emergency Medical Care Benefit Plan OR Individual All-Inclusive Package OR Annual Medical Plan and you are 61 years of age or older. not applying as a dependent. For a physically or mentally handicapped dependent 21 years of age or older, please call us at 1 800 873-2583 or 604 419-2200 in the Lower Mainland to purchase coverage. 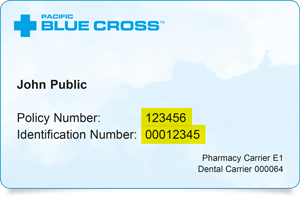 Do you have a Pacific Blue Cross health or dental plan? Pacific Blue Cross plan members are eligible for a discount on travel insurance. Simply enter your group policy number and your member ID number from your plan and a discount will be applied. If you have a promotional code, you may be eligible for a discount on travel insurance. Simply enter a valid promotional code and a discount will be applied. Your cost is based on the length of your longest trip. If your plans change, you can adjust your insurance to suit your new plans. There is no limit to the number of trips you can take within a 12 month period. You should determine the duration of most of your trips and purchase a multiple trip plan to cover that duration. If necessary you can extend your travel insurance to cover any trips that are longer in duration. When would you like your 12 month coverage to start?